I regretted getting the Telpad Plan because I don't really use my Telpad. It's just there, gathering dust. If I could, I would drop my landline but it's bundle kasi. Though I couldn't do anything about my Telpad Plan because it has a 3-year contract, I just waited for the contract to end. And finally, finally it ended last September! Note: Cancellation of the Telpad Plan doesn't make sense to me. I have to pay more for it to be cancelled so I just waited for the contract to be over. Like I said, I regretted it BIG TIME. Telephone number: Don't bother. The phone number you'll find on the net isn't the correct number. Note: You have to go to their office in person. You can't downgrade via phone or via their costumer service. Tip: Go a week before your contract end. If you go a month before your contract ends, pababalikin ka, promise. If you go a week after your contract ended, they'll charge you for the next month na. So timing is the key here, my friends. To know when is the end of your contract, kindly call the costumer service for that. 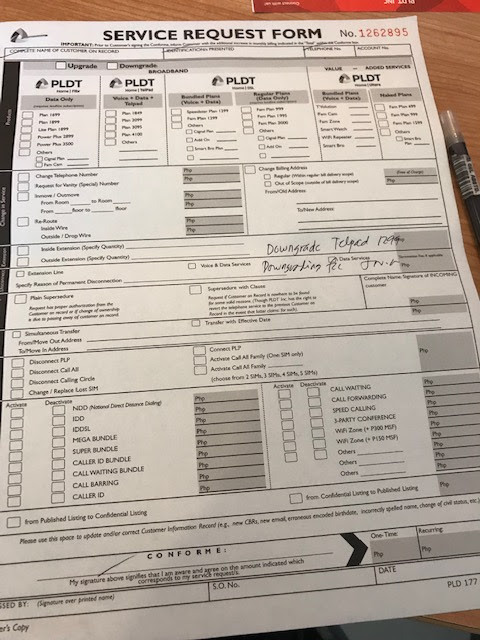 Dial 171 using your PLDT landline. 3. 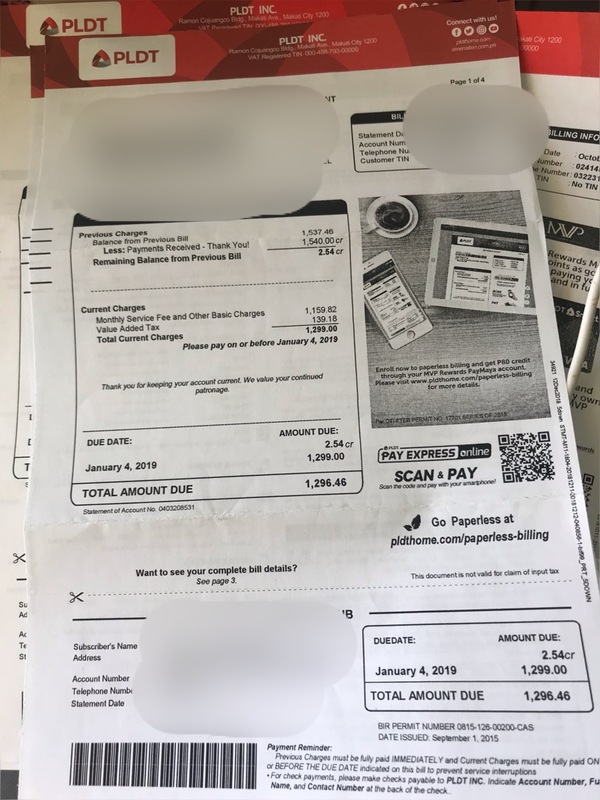 There's Php 500 fee for downgrading, but you will be charged on your bill for next month. It's weird because the Telpad Plan has 2MBPs only and the cost is Php 1,699 but when I downgraded, my speedtest result shot up to 19 MBPS. Mas cheaper but mas stronger ang speed. Nope, wala pang fiber sa area namin. Well, PLDT has to get their services straight coz my third player na. 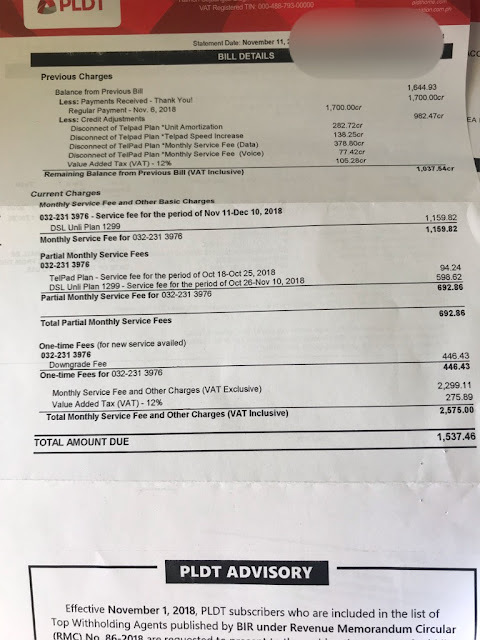 Yikes, expensive nga. I have Converge in Pasig and I pay 1,500 for 25mbps unlimited. 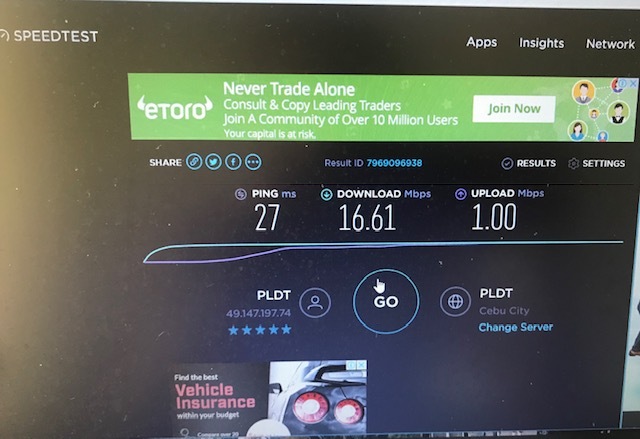 In Cebu we use sky at 1,299 for 16mbps unlimited. No Cable or Landline since we only use internet anyway. Hi Ms. Mille! 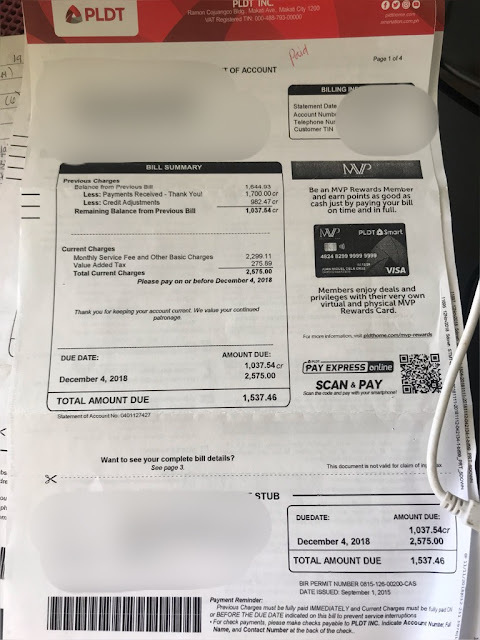 You can check your bill to know ano ang plan na gamit mo and you can also check www.speedtest.net to know how much mbps you have.